French Little Thing: Think PINK ! One of my favourite shades for the this Spring-Summer﻿. In one shade...Ninna Ricci Spring-Summer 2011; Valentino Spring-Summer 2011. In one shade...Peter Som Spring-Summer 2011; Chanel Resort 20111; Cristopher Kane Spring-Summer 2011. 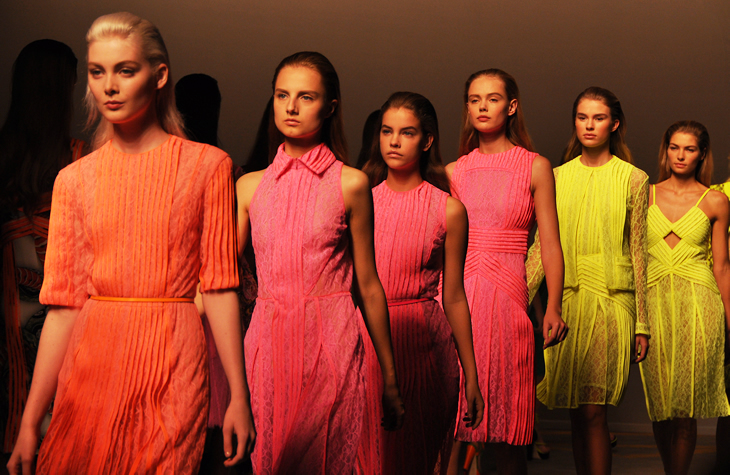 Mixed with orange...Sonia Rykiel Sprin-Summer 2011; YSL Resort 2011; Sonia Rykiel Spring-Summer 2011. 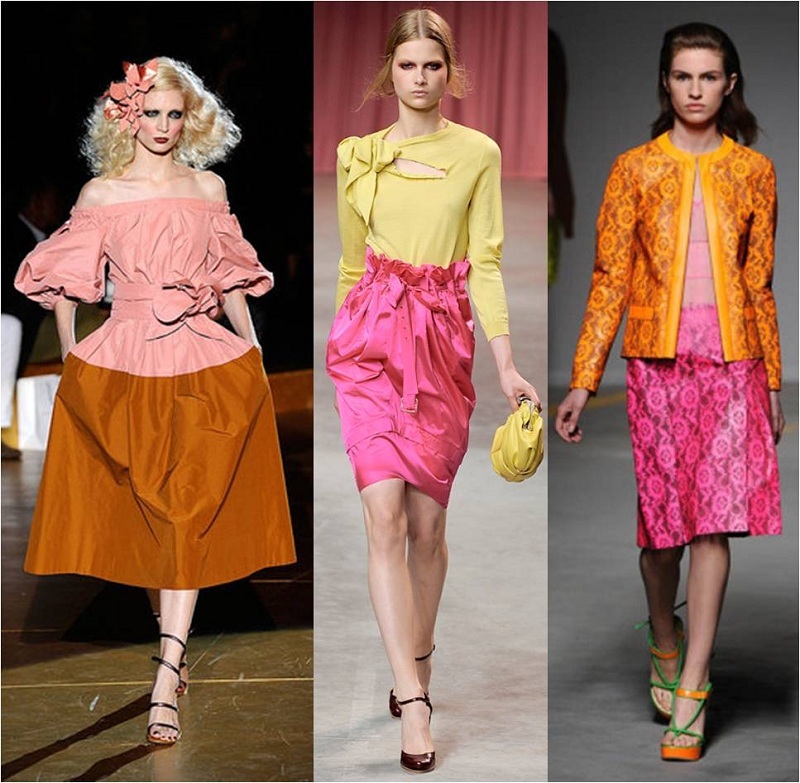 Mixed with other colours...Marc Jacobs Spring-Summer 2011; Ninna Rici Spring-Summer 2011; Cristopher Kane Spring-Summer 2011. Dress from the Russian Empress Alexandra Feodorovna (XIX century). 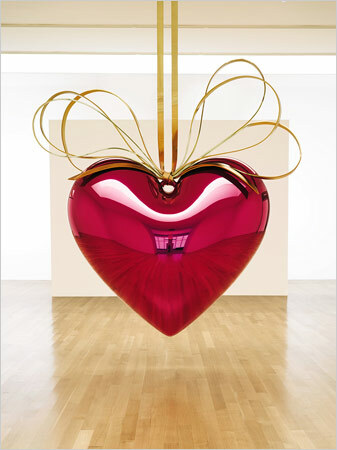 Hanging Heart by Jeff Koons (2006). Cristopher Kane Spring-Summer 2011 runway photographed by Jak & Jill. My winter version of pink, here mixed with a camel coat.